That of course is Govlish for “chain of command”. …and ask, what is going on at Ft. Stewart, Georgia? …why, it is of course the training of tens of thousands of combat troops who will operate under NORTHCOM for OOTW (Operations Other Than War) on U.S. soil, as noted in Part Two. They will be stationed on U.S. soil and tasked with doing things which may surprise the American people. (And remember, NORTHCOM is directly linked now to DHS and the entire Top Secret America mechanism, with interfaced databases to implement infallibly Secretary Cohen’s predicted “unequivocal and unambiguous chain of responsibility, authority and accountability”. The 3rd Infantry Division’s 1st Brigade Combat Team has spent 35 of the last 60 months in Iraq patrolling in full battle rattle, helping restore essential services and escorting supply convoys… Beginning Oct. 1 for 12 months, the 1st BCT will be under the day-to-day control of U.S. Army North, the Army service component of Northern Command, as an on-call federal response force for natural or manmade emergencies and disasters, including terrorist attacks… But this new mission marks the first time an active unit has been given a dedicated assignment to NorthCom, a joint command established in 2002 to provide command and control for federal homeland defense efforts and coordinate defense support of civil authorities. Secretary of Defense Cohen said it in 1999, “support of civil authorities”, and nobody screamed bloody murder, because it was published in the back pages of the Washington Post and never repeated again, to my knowledge. But I knew even then that a police state would of course use its military in “support of civil authorities”, and you can see that plain as day yourself when you pause to think about it. So we see that NORTHCOM has a commission to do what Secretary of Defense Cohen predicted in 1999, which is to merge State, County, and Local law enforcement into a chain of command which can answer calls from DHS as well as the Pentagon or the White House. Our objective in looking at such subjects has to do with that perception which declares that the SWAT killing at his home at Tucson, Arizona, of a young Marine veteran of two tours in Iraq is the logical extension of a policy which emanates from the vortex of Federal power in the hands of a neo-con establishment which actively intends to fuse the military with our local peace officers for the unspoken, but obvious and self-evident, clamp-down on political dissent in America. Particularly, it has to do with the transition in this country from “protect and serve” to “law enforcement”. To ‘protect and serve’ is of the people; to ‘enforce law’ is of the government. Could that have anything to do with why many Departments and agencies of Federal government resent Oath Keepers reminding our troops and soldiers that the Oath is sworn to the Constitution and is not sworn to the government? We’ll look at that in Part Four, where we’ll focus on the SPLC and DHS. The need for the people to regulate their government’s style of administering itself upon the citizenry is self-apparent and obvious when this transition is viewed with an awakened sense of awareness. Clans and tribes derived from Nature’s brute indifference to life’s frailty and rather recently created civilization. The group was a primitive answer to the need for security, dating back to the caves. Social and cultural mores trace back to distant beginnings before recorded history. Our language and our science evolved throughout a span between now and the primitive terror of bygone times. And throughout that history arcs an electric lightning branch which animates the refinements afforded by experience and the remembrance of gained knowledge. It is like a Newtonian mirror of the synapsial firing of neurons in the brain’s electric wave-length fields. Does the Great Terror of the saber-toothed tiger, seen with dread while circling the camp’s fire as it waned down to embers in interminable night, yet translate today its primordial presence into subconscious archetypal constructs of fright? Is the instinct for survival yet among mankind? Are there yet hungers and appetites stirring below the surface of society, within the world’s cultures? Are there subtle, subconscious promptings from bygone forgotten pasts? Is the mind of mankind malleable? Are three tenses really enough? What is a thought? What is “the mind”? Why do we so seldom think about thinking, how it’s done, what it is, what a thought is when compared to a feeling or an emotion or a memory? How is the mind different from the body? What’s the difference between meta and matter? Can there really be a war for one’s mind? In the world of psychological operations (psy-ops) isn’t it all about the mind? In Part Three we are looking at just a bit of the science and the infrastructure for a bona fide “in-your-face” corporate-backed military-industrial-police state. We see that the infrastructure is already in place. We see that if the Federal government decides that an “emergency” (such as an economic collapse) should come our way, the Federal government will move quickly into this infrastructure and enact what General Tommy Franks has publicly said would be “a military form of government”. There is another name for that. Some call it “Martial Law”. Let us begin Part Three by looking at something the military is up to, keeping in mind that now the U.S. military has a dedicated Command with a tactical area of responsibility designated as the North American continent including every square inch of U.S. soil. “UW” stands for Unconventional Warfare. UW is the tricky side of warfare. UW is also a major tool which policy-makers and statecraft shapers enjoy using, for UW includes the power of the press and the magic of the media. Ever hear of Psychological Operations (psych-ops or psy-ops)? All of those and other such are respective parts of OOTW (Operations Other Than War), and it has become a very huge industry, a money-making trough within the military-industrial complex. I found an article about this document written by a somewhat unabashed author whom I have not met. In a brusk tone he brings forward from the Army’s document on Unconventional Warfare some condensed points, and I offer a taste here as a hint as to the content of the document. Unconventional Warfare uses as operatives certain types of people. Those types of people are worked by the psy-op warrior in the same way an FBI or CIA “asset” is worked by an FBI or CIA “handler” to accomplish certain things pertinent to a psychological operation. When an underworld criminal type of the sorts listed as potential surrogates is handled by a handler who is playing tricks on the surrogate’s mind, we may say that the psy-warrior doing the handling is performing routine tasks relative to his duties and responsibilities in whichever psychological operation currently deployed. Getting a mentally-controlled surrogate to pull off some stupid crime which can be played in the mainstream media to arouse predictable emotional and mental activity in the collective mind of a nation is a handy trick designed to assist in the implementation of governmental “policy”. It’s psy-ops routine fare, as revealed in the Northwoods Document of 1962 under McNamara. Please note that UW openly admits using terrorists as “surrogates”. Let that one sink in for a moment. Psy-ops warriors, Unconventional Warfare ‘handlers’, are expected to manipulate terrorists as surrogates for carrying out psychological operations missions. Please note with me this gem – Did it say “tribal politics, social networks, religious influences, and cultural mores”? Wow. Now we’re getting into some spooky stuff, yes? Our government is flat out saying that it’s working on mental stuff, mental warfare as a facet of Operations Other Than War (OOTW) and UW. By the time government psy-ops is focusing on our politics, social networks, religions, and culture, we can pretty much safely say that the human mind is the target. Your mind. My mind. Everyone’s mind. The individual mind and the group mind. And our government is funding its massive psychological operations with tax-payer dollars or black budget dollars. But of course the government is not aiming its psy-weaponry and mind-power at you or me. No, the power is only focused on America’s enemies – not us. Government tells us that frequently, as they told us when introducing the USA PATRIOT ACT of 2001. Like, Echelon would not snoop citizens’ emails while tracking enemies abroad, right? Right. Yet DARPA and the National Institute of Justice have already told us that assets can be used in common between law enforcement and the military, including, (considering NORTHCOM’s existence now), domestically assigned OOTW. Does anyone wish to dispute that defense industry products are first field-tested in military combat zones before widespread acceptance into military Commands and units? And once the military has field-tested new technology, is it not then accessible to NORTHCOM for beefing up NORTHCOM’s arsenal of handy tools? And after any science is mastered and applied as given logistics and the demand has been saturated, is said science not called “military surplus”? And does that end of the applied science, the product-in-the-field scientific marvels of DARPA science, not make its way through Federal grants to State enforcement offices and Sheriff Departments? And does it not come with an expected reciprocal interface when asked by Federal or military superiors for the implementation of certain Federally-originating “policies”? A surrogate, as we gather, is to have a “handler”. The handler causes the surrogate to be motivated to do certain things which will lead to media and press releases which will influence the perception of the public mind. The handler would be a book-trained sort of black ops specialist of the type who would work in the FBI or CIA. Or – one who would work as an Unconventional Warfare operative, either on active duty within the military or as private sector specialty companies like Blackwater-Xe. But let us certainly note that government’s psychological operations are admittedly focusing on “such social dynamics as tribal politics, social networks, religious influences, and cultural mores.” Let us never forget that. As we see, they are intent upon data-mining the Internet’s global voice, and they are even now developing software which will allow one psy-op warrior sitting at one work station to manage and operate up to forty different “personas” to be used on various social networks and forums. Their efforts are designed to favor a desired perception within the public mind, or in, as Edward Bernays dubbed it, “the group mind”. Many agencies and departments inside the Federal behemoth are deeply concerned about just how you and I see things. Like, it’s getting to be quite personal, and the more ‘personal’ it becomes, the less gullible and manipulated the individual citizen becomes. Fifty-thousand to seventy-thousand SWAT raids in America each year make it very personal to as many Americans and neighborhoods. Strike that chord in the sleeping mass mind, the group mind, and the strike shall resonate across the land through grassroots consciousness such as we saw in the Tea Party movement of 2009, which is a high string on the harp of Heaven in the name of freedom. That grassroots energy brought to Washington D.C. the largest protest crowd in American history, and while its message was not acknowledged by the power elite on the Hill, they immediately enjoyed directing our psy-ops agencies to beef up psychological operations in the domestic arena. “But they can’t do that”, I am told often enough. Well, maybe they can do that. Recall Secretary of Defense William Cohen’s “Grave New World” speech of 1999 [see part two] and compare it in conjunction with reading the NIJ/DARPA report on merging domestic law enforcement with the U.S. military and establishing interface and cooperation under a policy called “Operations Other Than War” (OOTW). The thrust of Unconventional Warfare abroad is translated into the domestic arena by simply lifting a template from one sheet or database to another. The psy-ops used in Syria or Egypt become the learned template of what the United Nations might do in the wake of a collapse of the American economy or society. 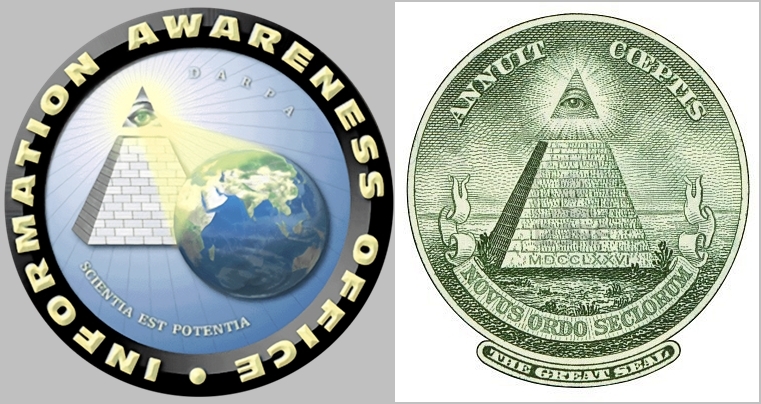 The template has been established already, and we find it first in the Department of Defense/Pentagon/JCS. Since the 1990s the U.S. military’s assets are accessible to domestic law enforcement through the good graces of the U.S. Department of Justice. Military Intelligence and independent Intelligence agencies such as CIA or NSA or NRO have an interest in what’s bubbling up in so many State legislatures lately, and so does the Department of Homeland Security and its interface with DARPA and the Department of Justice. Through all of that together we see a now-militarized interface with State and Local law enforcement through DHS’ Fusion Centers. So, yes, they can do that, and are, as we speak, doing it on a massive scale. What the Fusion Centers are distributing is psychological warfare Intelligence as concocted by private sector think-tanks friendly to certain discretionary sensitivities in respect to the source of the funding. Allow me to back that statement please, as on its face the statement would appear to be extremely blunt. Does the Mechanism have an Anatomy? In Part Four we’ll answer that question, and go deeper into Psy-Ops and how UW and OOTW are applied in the domestic arena through a cooperative media and press. Then we will look at the DARPA/DHS/SPLC interface.